We love to know where our graduates' careers have taken them once they leave Maynooth. Please take a few minutes and let us know where you are now and whether you'd like to continue your lifelong learning at MU. 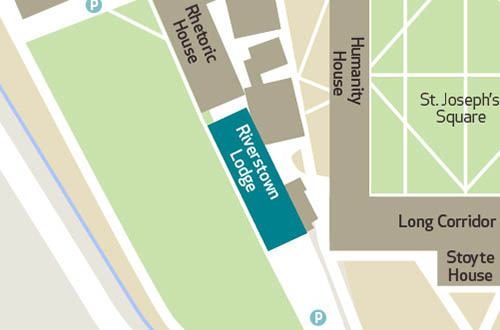 The Development and Alumni Relations Office is located on the first floor of Riverstown House on the South Campus. If you would like to learn more about alumni events, mentoring students, or reconnecting with fellow alumni, you’re in the right place. The annual Alumni Reunion and Carol Service are the two big events every year with smaller events every 6-8 weeks in Dublin, Maynooth and even Paris! You can also support students through the Annual Fund by giving to scholarships and bursaries. Here’s how you can help. 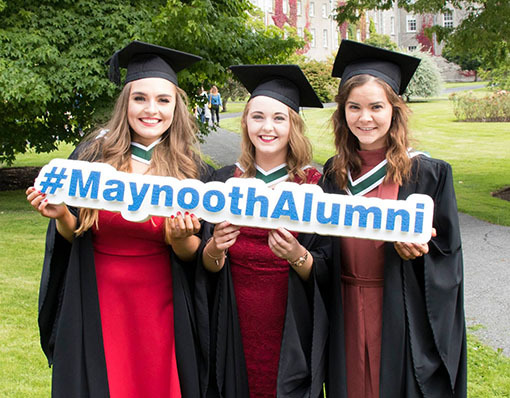 As the Development and Alumni Relations Office grows, we need to know more about you, so please join the online alumni community and continue your Maynooth University conversation. 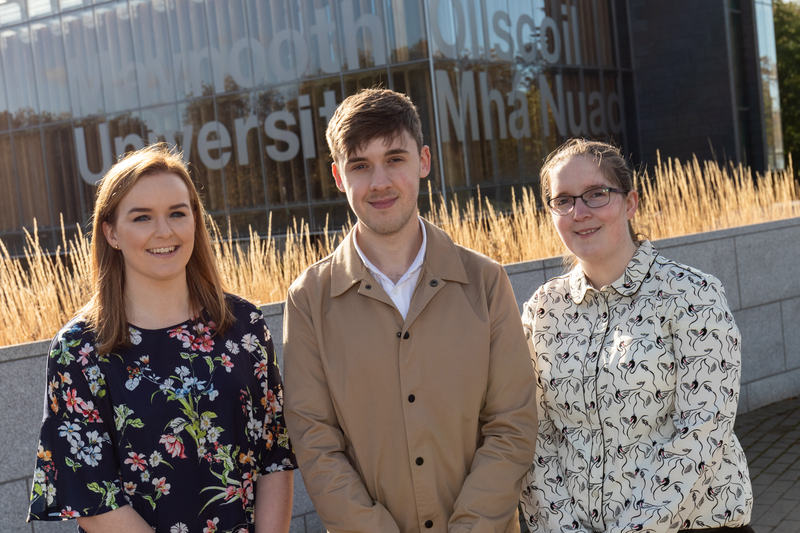 Má tá spéis agat tuilleadh a fháil amach faoi ócáidí alumni, meantóireacht a dhéanamh ar mhic léinn, nó má tá fonn ort teagmháil a dhéanamh le alumni eile arís, tá tú san áit cheart! Is iad an Teacht le Chéile Bliantúil do Alumni agus Seirbhís na gCarúl Nollag an dá phríomhócáid a bhíonn ar siúl i rith na bliana chomh maith le hócáidí níos lú a bhíonn ar siúl gach 6 – 8 seachtaine i mBaile Átha Cliath, Maigh Nuad agus fiú i bPáras! Is féidir leat tacú le mic léinn freisin tríd an gCiste Bliantúil trí airgead a bhronnadh ar scoláireachtaí agus ar sparánachtaí. Tá cur síos ar na bealaí ar féidir leat cabhrú linn ar fáil anseo. De réir mar a thagann fás ar an Oifig Forbartha agus Caidrimh le Alumni Ollscoil Mhá Nuad, teastaíonn uainn tuilleadh eolais a fháil mar gheall ort agus mar sin, iarraimid ort clárú leis an bpobal alumni agus an comhrá atá ar bun agat le hOllscoil Mhá Nuad a choinneáil ag imeacht.